Spider Farmer R90 450W Reflector LED Grow Light: Worth buying? Spider Farmer Reflector R90 450W LED Grow Light: Is It Worth Buying? 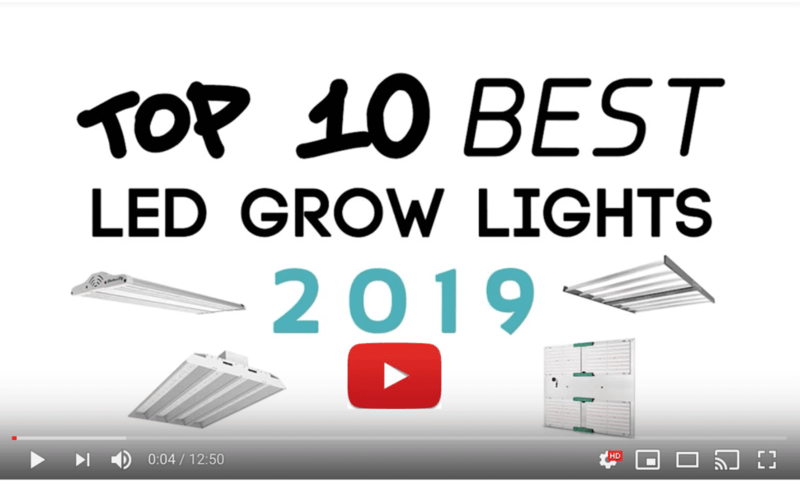 Are you looking for a budget-priced LED grow light? What if I told you that the Spider Farmer R90 450W from MEIZHI is both full-spectrum and dimmable, plus it’s priced to compete with better-known brands like VIPARSPECTRA and Mars Hydro? The Spider Farmer 450W light has dual dimmer switches. Select the intensity you need for each stage of your plants’ growth. Choose Veg to sprout seedlings, then flip on Bloom to encourage flowering and big bud growth. This one light can replace any 450W High Intensity (HID) High-Pressure Sodium (HPS) or Metal Halide (MH) light, but it’s easier on your electric bill and doesn’t generate as much heat. Typically, this panel only consumes 201 watts (+/-5%) when plugged into 110V AC electricity. It doesn’t even need ballast because LED light is flicker-free. Of course, you can hook it up to a timer or controller system. Another nice thing about this LED grow light is that it can operate on a wide range of voltages, from 85 to 260V. It uses under 2Amps of current. You could run it off a generator if you wanted. Running with the light on full power uses 201W. Running with just Veg uses only 133W. Bloom adds 65.1W. No matter what, this light panel won’t cause your electric bill to spike and make authorities overly curious. 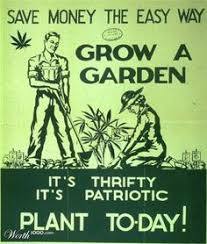 Not that you’re growing illegally, right? The Spider Farmer measures 15.7 inches long by 8.3 inches wide by 2.8 inches thick. The ninety 5-watt LED bulbs with their reflector cover a maximum area of 3.5 by 2 feet, perfect for a small grow tent or closet operation. Depending on the strain you’re raising, you may fit two to four plants under it. The Spider Farmer can help you take care of them from seedling to harvest. The panel weighs just under 7 pounds and it comes with a hanging kit and power cord. MEIZHI recommends hanging the light between 12 and 30 inches above the top of your plants, depending on their growth phase. When you flip on the Bloom switch, you’ll notice that there is more red light coming from the panel. That part of the light spectrum stimulates flowering and bud growth. The specs of the light output are good for a panel this cheap. It puts out 8272 lumens, but that’s not as important as its PAR Value. The PAR is 540.01umol (micro mols). PAR means “photosynthetically active radiation,” and reflects the effectiveness of a grow light to cause photosynthesis in a plant. 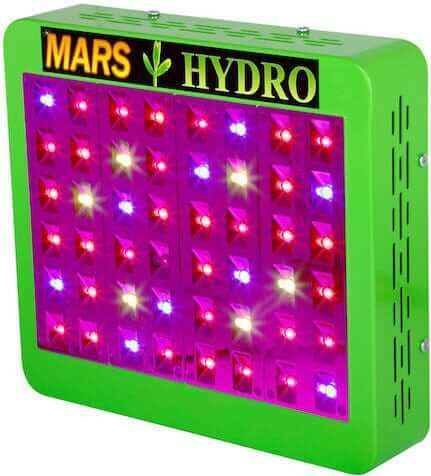 Expensive, highly effective grow lights sometimes have PAR ratings over 600umol, so the Spider Farmer comes close to that standard. If you’re concerned, be sure to stay within the maximum coverage area and don’t crowd your plants. There is just one downside to the Spider Farmer. It has built-in aluminum heat sinks and fans for cooling the light, and they make very little noise. MEIZHI rates the total noise level of the Spider Farmer at only 53dB, like a quiet conversation. 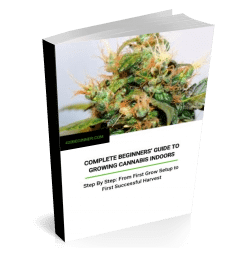 But owners who have commented on the Spider Farmer say that the panel puts out warm air, so they recommend using a fan or ventilation system if your grow room is already warm. A little extra heat could be helpful in the wintertime, but it’s not good in summer. The light does best when operated under 80% humidity and under 98 degrees F, but then again, so does cannabis. Keep your weed happy and the light will be happy, too. The Spider Farmer isn’t waterproof, of course, but the LED bulbs can last up to 100,000 hours of use. That’s years of 12 to 16 hours of light per day! You’ll probably upgrade the panel before you ever have to replace a bulb. If there is a problem down the road, MEIZHI accepts returns unconditionally up to 30 days after purchase. Then they make free repairs within the first three months and pay-as-needed maintenance within the first year. We’ve also reviewed Meizhi’s R450 LED grow light. Main differences: The R450 has veg/flower switches, instead of adjustable dimmers, slightly lower power consumption, lower price tag and higher PAR values. If you don’t care about adjustable dimmers, we’d recommend going for the R450.